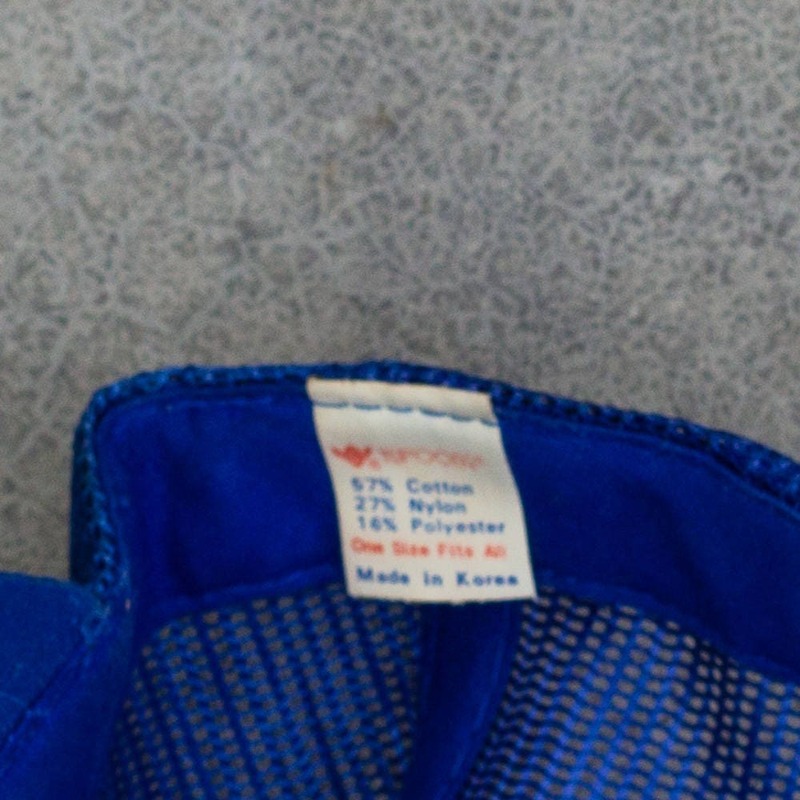 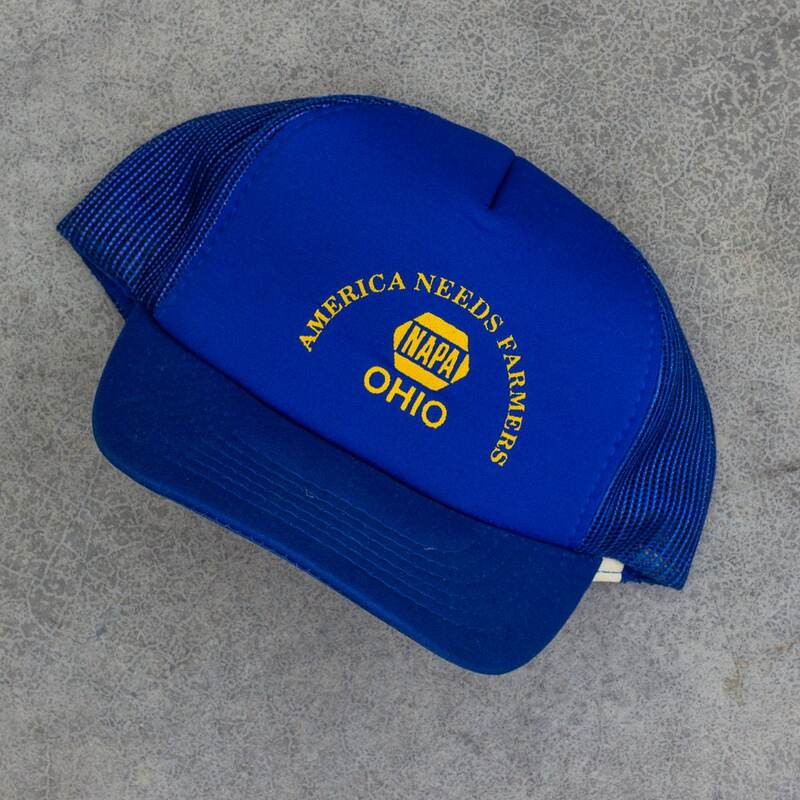 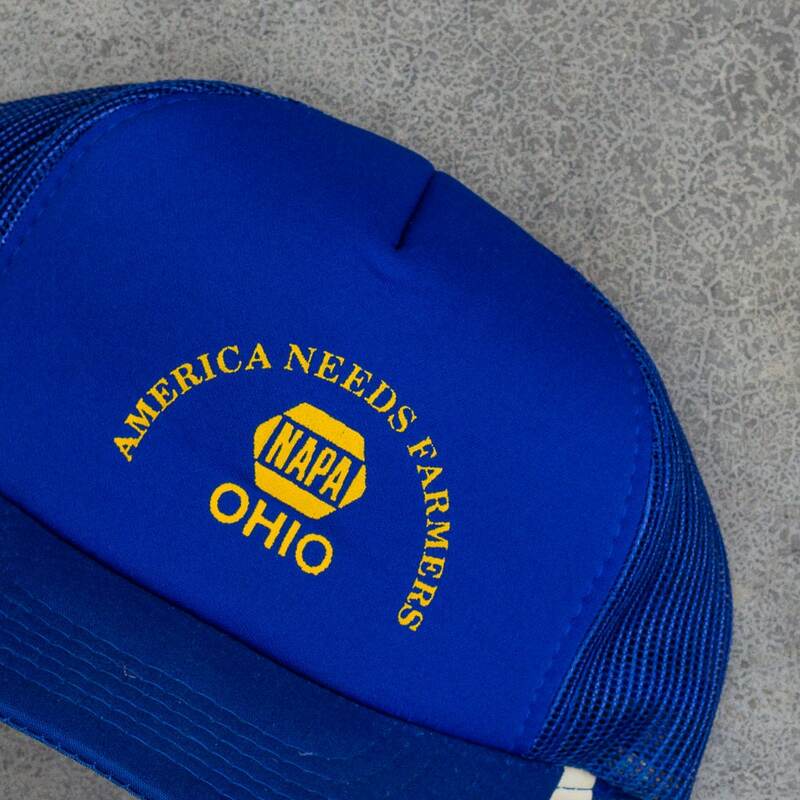 Classic Napa snapback cap promoting American farmers. 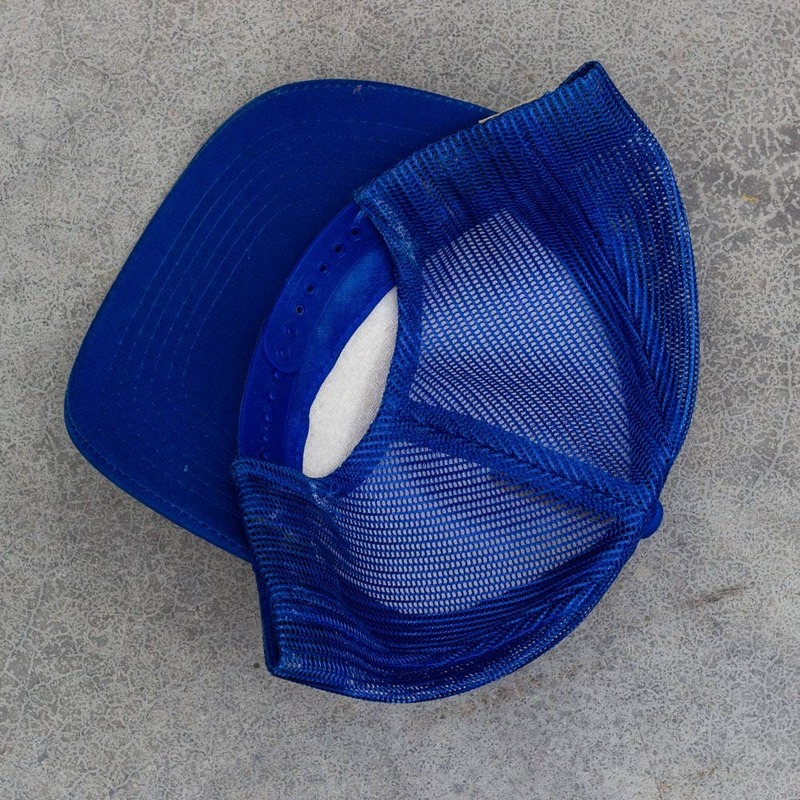 Sizing: One size fits most with an adjustable strap in the back. 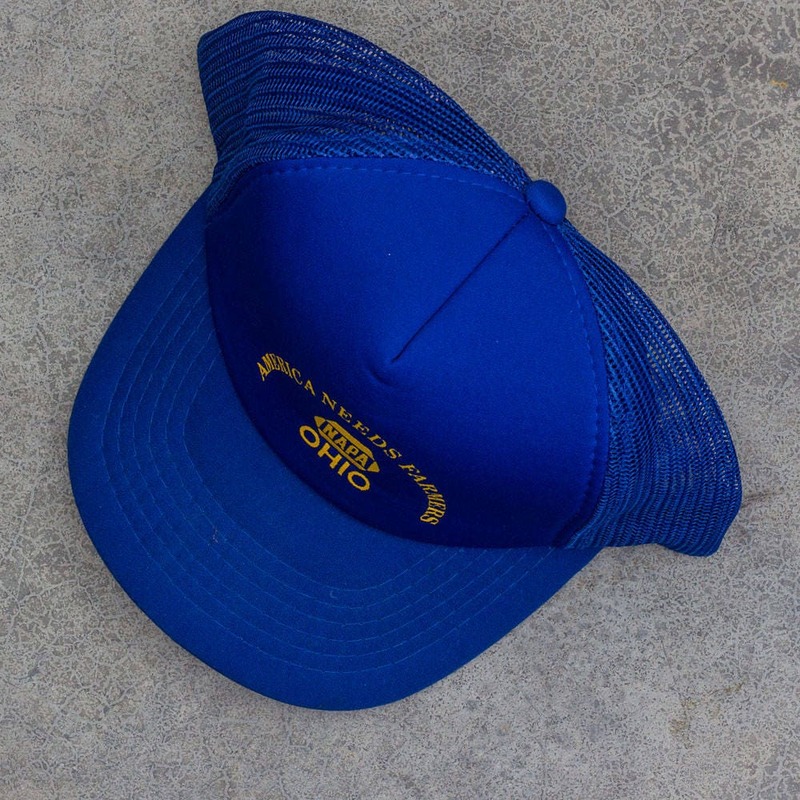 Condition: This item is in good vintage condition with normal wear. 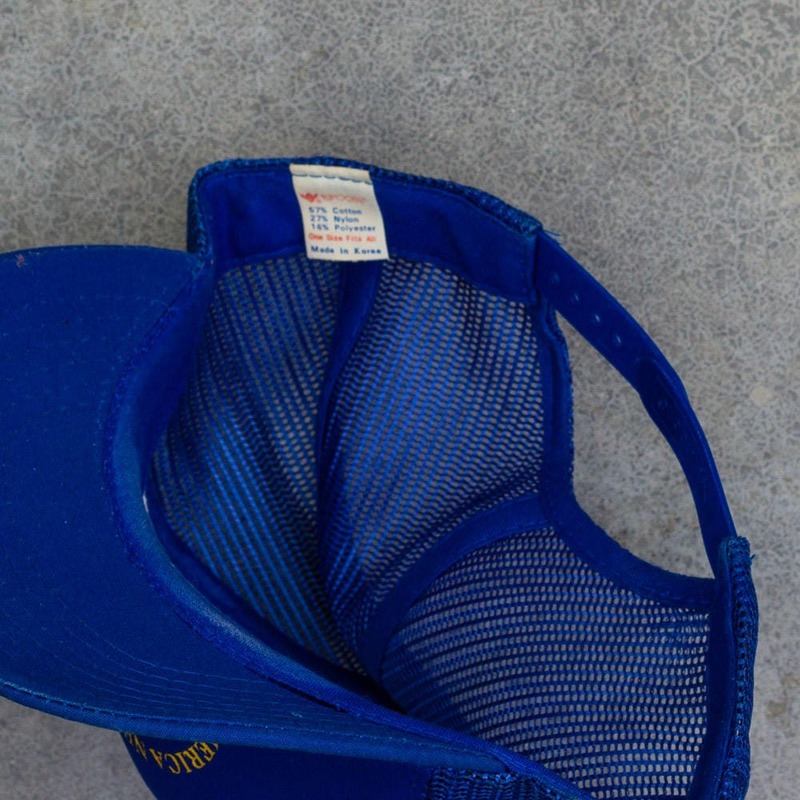 These have been folded for years, so they may take some reforming / breaking in.